Greetings from the Andes…wish you were here! 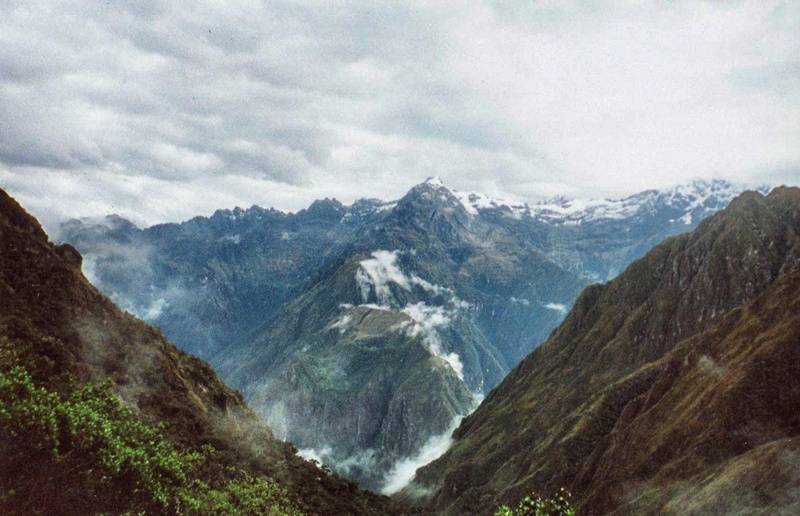 Photo taken on day three hiking the Inca Trail in Peru. November 2001. A few months after 9/11 my dad and I took our first major trekking trip together. We flew to Peru and then hiked the historic Inca Trail to Machu Picchu. It was a grueling three and a half days but the spectacular views of the Andes made it worth the while.